Our strategic partners are KBI UK Ltd.
KBI was founded in the USA over 15 years ago. Its mission was to utilise high volumes of waste tyres through the design and engineering of innovative products and solutions that could be applied in commercial, residential, industrial and local authority scenarios. Vast amounts of the worlds used car tyres are sent to landfill or used to fire incinerators for power-derived fuels. KBI UK Ltd was formed in 2010 to provide, supply and install the products manufactured using the KBI Flexi™-Process to the UK market. 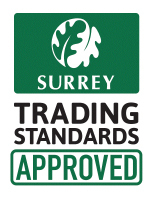 With many local authorities looking for greener ways to re-generate traditionally paved or urbanised surfaces, combined with commercial contractors looking to develop sustainable drainage systems (SuDS), the materials generated using the KBI Flexi™-Process have become firmly established across a broad spectrum of construction sectors. Because of our partnership with KBI, we are approved installers of their patented products KBI Flexi™–Pave, and KBI Flexi™-Stone. These materials offer a porous solution to ground surfacing, allowing water to run through, resulting in no standing water. 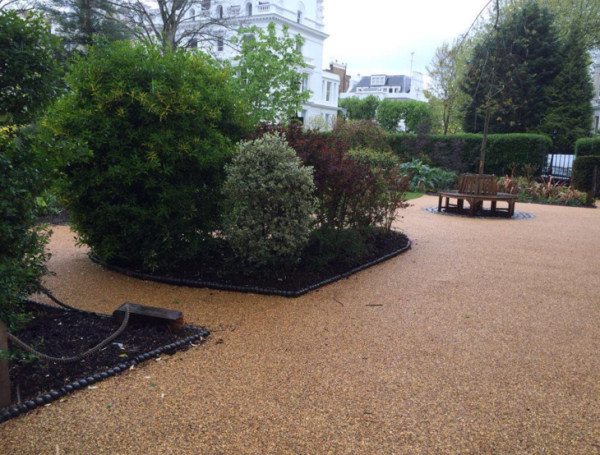 Traditionally, surfacing an area reduced it's porousness and heavily limited drainage. With KBI Flexi™–Pave, and KBI Flexi™-Stone, you bypass these drainage problems. Both materials are porous, allowing water to run straight through. This means that there will be no standing water on top of the Flexi Surfacing. It also helps reduce flooding and other drainage related problems. Whats the Difference between Flexi™–Pave and Flexi™-Stone? Although the materials share many of the same features, its the composition of the materials which is slightly different. Flexi™–Pave is made up of a mixture of recycled tyre rubber and ground stone. By utilising rubber as one of the main components, the finished material is slip resistant, making it ideal for inclined paving. The impact absorbing qualities make KBI Flexi™-Pave an ideal choice for jogging trails, nature walks and training facilities. Flexi™-Stone is very similar, but is made up purely stone instead of a rubber & stone mix. Both these products are available in a variety of applications and finished. www.kbiuk.co.uk to find out more.